While doctors have long characterised epilepsy as a brain disorder, researchers have now found that certain changes in heart activity may precede the onset of the disorder in children. “All the findings of our study on heart rate variability in epilepsy point to increased activity in the parasympathetic nervous system during sleep,” said senior author of the study Roberto Fernandez Galan, assistant professor of electrical engineering and computer science at Case Western Reserve University in Ohio, US. “But we do not know if this abnormality compensates for epilepsy, coincides with the disease or is part of the etiology,” Galan noted. Specifically, the parasympathetic – or “rest-and-digest” – nervous system modulates breathing and slows the heart rate of sleeping children with epilepsy substantially more than in healthy children. To their surprise, the researchers also found that several children who had been diagnosed as neurologically normal – but had similar strong modulation and low heart rates – were later diagnosed with epilepsy. The discovery, published online in the Journal of Neurophysiology, suggests that changes in the parasympathetic tone precede the onset of epilepsy in children. The parasympathetic nervous system is one of three divisions of the autonomic nervous system, the part of the nervous system responsible for control of the bodily functions not consciously directed, such as breathing, the heartbeat, and digestive processes. The findings could help researchers identify biomarkers to diagnose those with epilepsy or at risk of developing the disease. 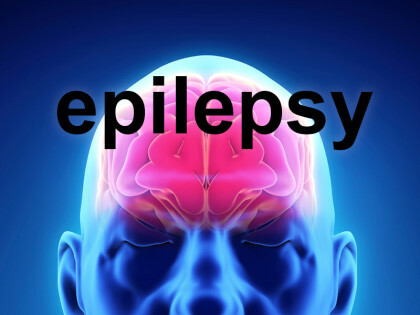 The researchers say the findings also raise the possibility that medicines that help control the autonomic nervous system may help control epilepsy. The team studied the electrocardiograms of 91 children and adolescents with generalised epilepsy, and 25 neurologically normal children during 30 minutes of light sleep. No participants were suffering from a seizure during these intervals. The researchers found that respiratory sinus arrhythmia – the increase in heart rate during inhalation and decrease during exhalation – was more pronounced in patients with epilepsy, and that their heart rate also was significantly lower. All of the children in the study had electroencephalograms monitoring their brain activity during the 30-minute periods of sleep. There was no abnormal activity found there.